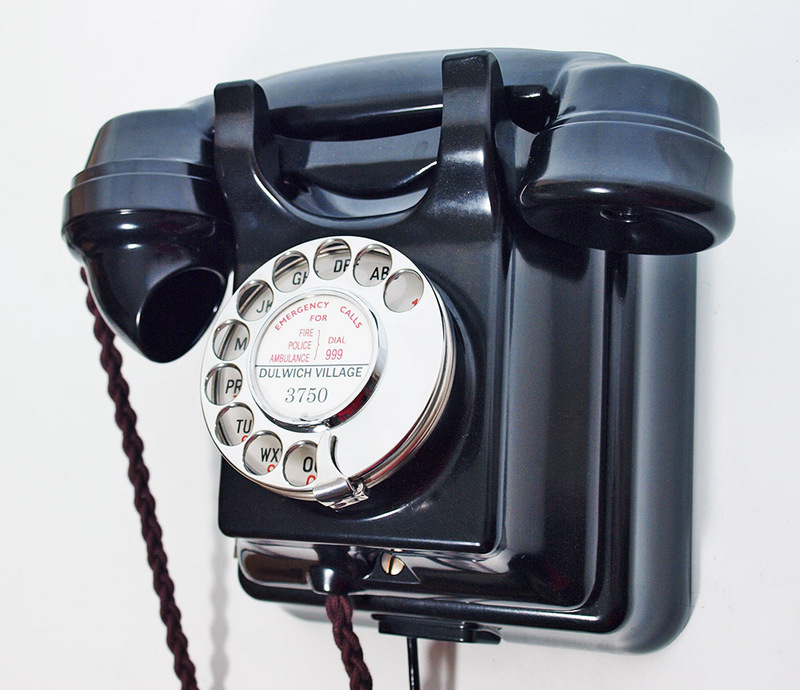 A you can see this is a wonderful Bakelite wall telephone. It has bee totally stripped down and re built after each pert has been cleaned and polished. It has a lovely double gong bell inside and sounds fabulous. 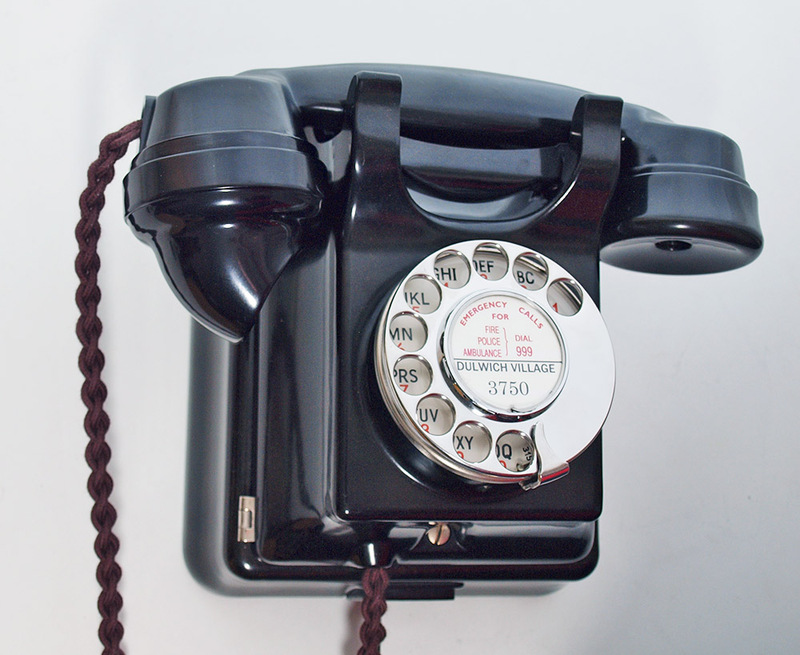 I have fitted a very best quality hand plaited all British manufactured handset cord, an electronic microphone and a GPO specification round plastic line in cord with a UK telephone plug socket. The dial is a genuine GPO No12 alpha numeric with a stainless steel finger wheel. 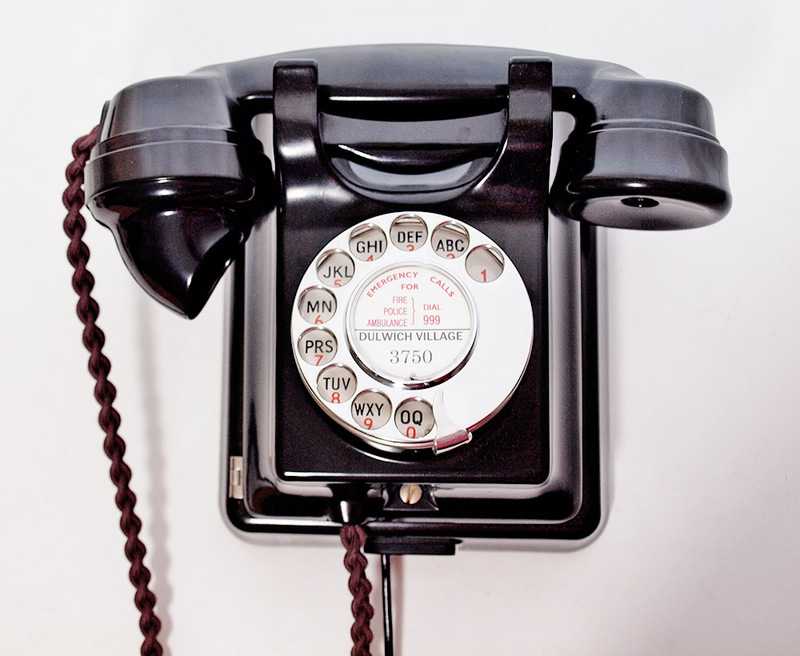 It has been fully set up using a special line simulator and then fully tested on our own BT land line. The bell set has had a perfect resin repair but you would never see unless I told you its location. I can make a dial label with your information at no extra charge.